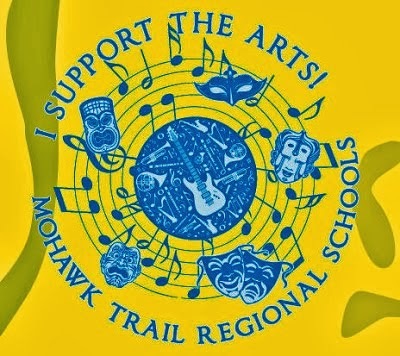 The Mohawk Music Association (MMA) supports the music students and programs of the Mohawk Trail Regional School District in rural Franklin County, Massachusetts. encourage youth and adult interest in music. We depend on volunteer help and always welcome the involvement of new families and community members. The MMA meets during the school year on the third Wednesday of each month at 6:30 pm in the music room (meeting schedule). Additional meetings may be scheduled as needed. Anyone interested in the Mohawk Music Department is invited to participate in meetings and fundraising events. The MMA began in 1976. The Association is overseen by an executive committee consisting of President, Vice President, Treasurer and Secretary, elected annually in June.